Welcome to Ohio, birthplace of seven U.S. presidents, birthplace of the first professional baseball team, and birthplace of that all-American favorite, the hot dog! Ohio grew into a highly industrialized state in large part due to its geography. (Location, location, location...) With ports along Lake Erie, major rivers, and rolling plains, Ohio was perfectly situated to grow as America grew, and to provide what America (and the world) needed. Ohio's industrial might has encompassed steel, automobiles, rubber products, chemicals, machine tools, and building materials. The state is also the eastern end of the corn and meat belts, with agriculture contributing to Ohio's economic strength. And now it's time to rock and roll!... 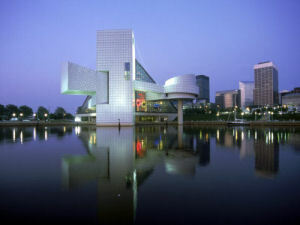 Since its construction in 1995 in Cleveland, the Rock and Roll Hall of Fame has been welcoming visitors from all over the world to explore the legends, roots, and history of rock music. The state of Ohio is named after the Ohio River. Ohio is the name that the Iroquois Indians used when referring to the river and means "large" or "beautiful river." A buck's eye; this is what the fruit, or nut, of the buckeye tree is said to resemble. The buckeye's association with Ohio dates back to 1788, but may have been fixed forever in Ohio history during the election of William Henry Harrison as President of the United States in 1840. Certainly, the abundant presence of buckeye trees in Ohio gave root to the term but it's thought that the first use of "Buckeye" to refer to an Ohioan was back in 1788 in Marietta at Campus Martius. Campus Martius was a fort that served as home for early settlers. Located at the fort was the first court conducted by those early settlers. The story goes, that on September 2, 1788, a certain Colonel Sproat lead a procession of judges to the court. His posture was erect and he stood six feet, four inches tall. As he lead the procession, glittering sword in hand, onlooking Indians shouted out "Hetuck, hetuck, hetuck" meaning "Big Buckeye." William Henry Harrison was born in Virginia, but he settled along the Ohio River west of Cincinnati. He entered the race for President as a candidate of the Whig party. An opposition newspaper said Mr. Harrison "...was better fitted to sit in a log cabin and drink hard cider than rule in the White House." Harrison capitalized on this image by issuing an engraving of himself seated in a rustic buckeye wood cabin with a barrel of cider and rows of buckeyes hanging from pegs. Buckeye cabins and buckeye canes carried by Harrison supporters ensured that the buckeye would be forever associated with the state of Ohio. The Ohio State Flag, adopted in 1902, displays a white circle with a red center, representing the "O" in Ohio and the Ohio "Buckeye." In 1953, the Ohio Buckeye, (Aesculus globra), was made the official State Tree of Ohio and "The Buckeye State" was made the official State Nickname. or "Mother of Presidents" is sometimes used to refer to Ohio. Seven United States Presidents were born in Ohio. They are Ulysses Simpson Grant (Point Pleasant), Rutherford Bichard Hayes (Delaware, OH), James Abram Garfield (near Orange), Benjamin Harrison (North Bend), William McKinley (Niles), William Howard Taft (Cincinnati), and Warren Gamaliel Harding (Corsica, now Blooming Grove). William Henry Harrison, born in Virginia but settled in Ohio, is also claimed as one of Ohio's own. "The Yankee State" was an early nickname applied to Ohio, probably by Kentuckians and Virginians because of its free institutions. It may also have been in reference to the many New Englanders who migrated to Ohio in the early 1800s. People who live in Ohio or who come from Ohio are called Ohioans and sometimes they are referred to as Buckeyes. The Ohio State Quarter is the second quarter to be released in 2002 and the 17th in the 50 State Quarters Program of the United States Mint. Against an outline of the state, the images on the reverse of the quarter honor Ohio's contributions to aviation. A rendition of the Wright brothers' 1905 Flyer III, considered to be the first true airplane because of its ability to take off, land, bank and turn is shown along with a suited astronaut. An inscription reads "Birthplace of Aviation Pioneers." 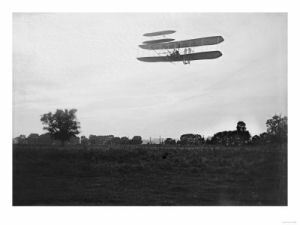 One of the first men to fly, Orville Wright, was born in Ohio. The first American to orbit the earth, John Glenn, was born in Ohio. The first man to walk on the moon, Neil Armstrong was born in Ohio. The inscription seems apt. The date on the coin, 1803, is the year that Ohio became part of the United States. Ohio (From Sea to Shining Sea) , by Nancy Kline. 80 pages. Publisher: Scholastic Library Publishing (September 2002) Reading level: Grades 3-5. Presents information about Ohio's people, geography, history, landmarks, natural resources, government, state capitol, towns and cities, and more. Ohio (World Almanac Library of the States) , by Michael A. Martin. 48 pages. Gareth Stevens Publishing (December 2001) Reading level: Grades 4-6. Filled with the most up-to-date information, including the latest Census results. Full-color photos bring to life the story of Ohio. In addition to an in-depth factual profile of Ohio in the form of a state Almanac, this book offers fascinating and lively discussions of the state's history, people, geography, government, economy, culture, and lifestyles. A section on Notable People, a calendar of events, and enough primary source documents, time lines, maps, and other tools to make this unquestionably the best young adult reference material on the USA available anywhere. The Ohio Almanac: An Encyclopedia of Indespensible Information About the Buckeye Universe , edited by John Baskin and Michael O'Bryant. 99 pages. Publisher: Orange Frazer Press; 3 edition (January 2004) Long regarded as the mandatory compilation of all things Ohio, the latest edition has not only collected the most recent census references, it has added more than a hundred pages of new material. No mere collection of loose facts, the third edition is fuller, deeper, livelier, and more useful. It has furthered its hybrid definition as both almanac and encyclopedia--new biographies, charts, lists, single-page features, explanatory asides, and hundreds of links and capsule web reviews of Ohio's handiest sites. And it has added a host of new contributors--some of Ohio's best writers, journalists, historians, librarians, and academics. Gathered in one indispensable volume is the best and most creative assessment of how Ohio works. It is at once compendium, history, lesson-planner, and doorstop. Mandatory as reference, unforgettable as entertainment, it provides the freshest, most original look at Ohio since Henry Howe did it on horseback over a century and a half ago. Ohio: A History , by Walter Havighurst. 224 pages. Publisher: University of Illinois Press (September 26, 2001) Ringing hammers, swinging cranes, the hot breath of furnaces and the gush of molten metal, a skyline ringed with belching smokestacks--the energy of industry, both in manufacturing and in old-fashioned human diligence, has fueled Ohio since its earliest history as the first state in the Northwest Territory. From Harvey Firestone's rubber rims for buggy wheels to John Leon Bennet's wire flyswatter, from O. C. Barber's first book matches to Dr. Edwin Beeman's flavored chewing gum, Ohio has buzzed with inventive drive and creativity. The Wright brothers flew a winged crate over a Dayton cow pasture; Stephen Foster allegedly wrote "Oh Susanna" while working as a bookkeeper in a Cincinnati riverfront shipping office; and Ohio native Victoria Claflin Woodhull declared herself the first woman presidential candidate. The state also produced some of the Civil War's greatest leaders, including Ulysses S. Grant and William T. Sherman. Havighurst gives a moving portrayal of Welsh inventor Samuel Milton Jones, who made his fortune with a device used in oil production and then turned his energies to creating his own "new deal" for his factory workers and, as mayor of Toledo, for his constituency. At the other end of the scale, shrewd, autocratic George B. Cox ruled Cincinnati through a sticky web of back-room corruption. Focusing on the people who stamped the state with their vision, Havighurst captures the vibrancy and ingenuity of Ohio's inventors, manufacturers, leaders and dreamers, as well as the consequences, for the land and its inhabitants, of unchecked industrial excesses. Ohio: The History of a People , by Andrew R. L. Cayton. 472 pages. Publisher: Ohio State University Press; 1 edition (April 2, 2002) Andrew R. L. Cayton offers an account of ways in which diverse citizens have woven its history. 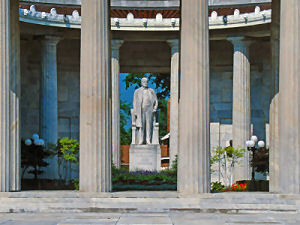 Ohio: The History of a People , centers around the many stories Ohioans have told about life in their state. The founders of Ohio in 1803 believed that its success would depend on the development of a public culture that emphasized what its citizens had in common with each other. But for two centuries the remarkably diverse inhabitants of Ohio have repeatedly asserted their own ideas about how they and their children should lead their lives. The state's public culture has consisted of many voices, sometimes in conflict with each other. Using memoirs, diaries, letters, novels, and paintings, Cayton writes Ohio's history as a collective biography of its citizens. Ohio, he argues, lies at the intersection of the stories of James Rhodes and Toni Morrison, Charles Ruthenberg and Lucy Webb Hayes, Carl Stokes and Alice Cary, Sherwood Anderson and Pete Rose. It lies in the tales of German Jews in Cincinnati, Italian and Polish immigrants in Cleveland, Southern blacks and white Appalachians in Youngstown. Ohio is the mingled voices of farm families, steelworkers, ministers, writers, schoolteachers, reformers, and football coaches. Ohio, in short, is whatever its citizens have imagined it to be. 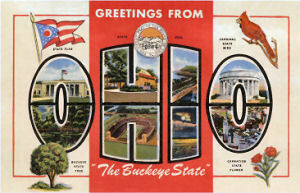 Ohio: The Buckeye State, An Illustrated History , by Eugene C. Murdock and Jeffrey Darbee . 296 pages. Publisher: American Historical Press (October 30, 2007) This intriguing chronicle of the Buckeye State captures the essence of Ohio's progressive history beginning with the early French explorers, statehood in 1803, 20th century growth and the challenges of the 21st century. Ohio proudly boasts of being the home of seven presidents, Thomas Edison, the Wright Brothers, John Glenn, and captains of industry such as Rockefeller, Goodrich, Firestone and Procter & Gamble.